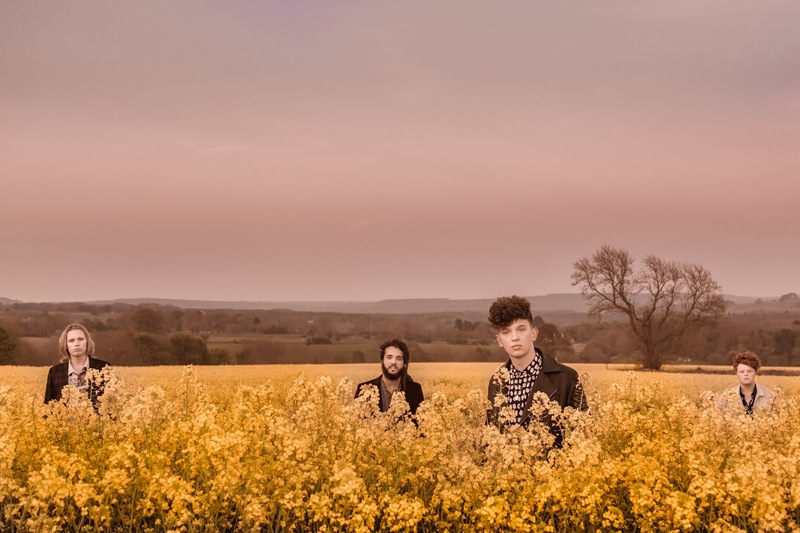 Larkins first came to our attention at the back end of 2014 and since then they've released a string of great singles through 2015 and into 2016. 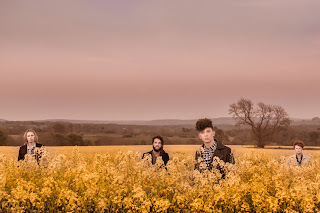 They're back with probably their best track yet, Velvet, and play a headline show to support its release at Manchester Academy 3 tomorrow night. We caught up with front man Josh Noble to find out more about them and their plans for the single. First of all, could you introduce Larkins and tell us a little about how the band got together? Myself (Josh Noble) and the lead guitarist Dom Want have played together since we were at high school. He basically taught me how to play the guitar and we used to play acoustic covers at school events. We were probably too nervous to even attempt writing our own songs at the time. We met Matt in our Music tech class in sixth form and he was the guy who played every instrument so we persuaded him to pick up some sticks and start focusing on drums. Luckily, he turned out to live in Glossop as well which made practicing much easier. We played a few local gigs with our original bassist Jamie Spencer and got completely addicted to playing live but we needed some recordings. We began recording a few demos in the college studio at the end of the day and used to spend hours in there. Once we even got locked in by one of the cleaners. After organising a few local gigs I eventually sat down and wrote 'Hit and Run' in late 2014 which became our first single. After a recommendation from one of our old teachers and having vaguely known him in high school, Henry joined the band in mid 2015 and really took us up a level. What have been the best moments so far in the time you've been together? Although we enjoy the recording side of things, playing live is where we we feel most at home and what we do this for. There have been some unbelievable gigs this summer from the likes of packing the House Party stage at Kendal Calling, to Blackthorn Festival which I think we'd all say was one of the most enjoyable gigs we've done, the crowd really went for it and the atmosphere of the festival as a whole was top. Your new single Velvet is out this week. Could you tell us more about the song and what inspired you to write it? I think that 'Velvet' really sums us up as a band and reckon that it shows a huge progression from the first EP. I'd been listening to a lot of the early Led Zeppelin stuff that my Dad had showed me as a kid and felt like writing something that was a bit more raw and groovy. I wrote the lyrics really quickly but the song was lacking any real punch. Dom had been experimenting with new effects where he was distorting the reverb in his pedal chain and it sounded unreal so we started to layer up the choruses while keeping the verses sparse, letting the lyrics breathe a bit. We took it to the producers at Sugar House Music in St Helens and they turned exactly what we had in our heads in to a reality. We hope it hits hard and carries on the momentum it's already building with backing from radio X and BBC Introducing! And you're supporting the release with a big headline show at Academy 3. Are you excited / nervous / confident about that? We've been working so hard getting it all sorted that we've not managed to really think about nerves until the last couple of days! I think we're all a mixture of nervous and pure excitement at the moment with the show being almost sold out it is definitely our biggest gig to date. We all just can not wait to get up there! What are your plans after the single? You've released five songs now (four are on their Soundcloud) so are there any plans for a debut album in the near future. We've got plans to hopefully have another single released by the end of the year. We're really just trying to keep momentum building and building and to make each song we release (and write) bigger and bolder. I think we're still getting better as musicians and everyday that we're writing and practising we're getting closer to the sound that we're striving to achieve but we're not there yet. So it wouldn't really be right to do an album until we're 100% happy with every single part of our sound. Our first EP was very much a learning curve for us and our sound has matured and really started to properly form since then, The new songs we are writing take some elements of that first EP but with a much more original and fresh spin. How would you describe yourselves to someone who hadn't heard you before? If Foals, Radiohead, Two Door Cinema Club and Parliament had a child, we'd like to think that child would be Larkins. Velvet is out on Friday and Larkins headline Manchester's Academy 3 tomorrow night - tickets are available here. They also play Ramsbottom Festival on September 17.